The Kona is actually on my radar right now, so one could find itself into our driveway in a year or so. I get the idea of having a cap so that $100k EVs are ineligible for the rebate because that’s just stupid. I would also support the idea of having a bigger rebate on a base model. It seems like the $45k was a bit too arbitrary, like they didn’t do any research to see what MSRP is on the “Everyman’s EVs”. So, we just passed the 2 year anniversary of our first Volt - saw the photo popup on my Facebook "memories" thing a few days ago. She still loves it. It's been one of the most reliable vehicles we've ever owned, and yes, the battery is still perfect and getting it's rated (or more) mileage now that the winter is behind us. But, I brought up the possibility of upgrading to her a few days ago, primarily for two reasons. Mileage, and the goal of going 100% electric. On the mileage perspective, the car is now coming up to 207,000KM (she's put about 70,000KM on it in 2 years) and I'm looking at it from a dollars and cents standpoint. Current book value for trade in shows around $10K still - so we'll only loose about $3500 in deprecation from the purchase price for 2 years and 70,000KM in use, I'd be super happy with that. Private sale values show around $12K, so the loss is even less..but I have to deal with the usual private sale drama, and if I can get a dealer to push up to $11K trade in value (which offsets taxes) then the tax savings and convenience outweigh the hassle of private sale. Considering she's still going to be driving around 30,000KM/year, in another 12 months the depreciation hit at ~240,000KM is bigger. In another year, potentially climbing towards 300,000KM, it's value will be less yet. On the "going 100% electric" perspective, the reality is with her commute (she at a new corporate gig now commuting to the east side of the GTA) she's still using gas every day for 50% of the drive - the battery gets her to work, gas to get home. Charging at the new employer is supposedly in the planning stage, but neither guaranteed, nor may there be enough chargers that she will be guaranteed one every day. Too many questions. She's driving about 100KM/day (for the commute, just short around town stuff afterwards) so even some of the midrange EV options with 175-225KM range is more then enough, even taking winter range loss into effect. So, we are considering options. I like the Bolt, she isn't enamoured with them, but seems to be warming. I don't like the price - still ~$40K even in the used market. We both hate the Leaf - even the new "kinda a little more normal" body style is weird-ish. I like the Kia Soul EV (and my sister owns one and loves it, and it fits the bill so far as requirements) but my wife hates the body style. She's sorta interested in something like a Model S, but the prices even for 5-6 year old ones with high mileages (and questionable future reliability and upkeep costs) are in the stupid range. We've looked at the Hyundai Ioniq and it seems like the #1 possibility right now - ~160-225KM range (perfect for her needs, she can swap with my Volt if she needs to go further on very seldom occasions) and the used market is priced right...when they pop up - but they sell almost instantly. The only thing I don't like about the 2017-2018 Ioniq is the air cooled battery - in the 2019's Hyundai went liquid cooling like the big boys. But, so long as it wasn't abused with hot and frequent fast charging it seems like the batteries in even the air cooled models are faring well, and since we'd only be effectively slow charging here at home (like 16A, not even 32A) most of the time, degradation would be little to nothing with our usage patterns. @PP have you considered the Golf EV? My buddy has one and absolutely loves it. Gets around >200km per charge...I actually really like it. And as long as I don't be stupid and buy that little sporty car the EV golf may be next in my driveway. I normally buy vw and i was uninpressed by the egolf. The value proposition new was crap (althought that should presumably be corrected in the used market) and IIRC you lost some trunk height and the golf doesnt start with a lot to begin with. when going 100% electric, all paths lead to Tesla at this point in the market, save yourself the misery of the other makes noted above. 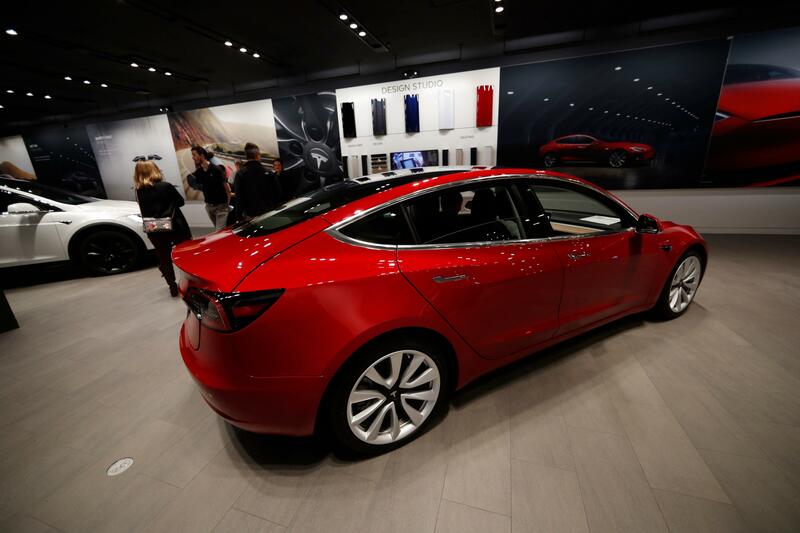 Investors will go back to the drawing board on Tesla's stock after its ugly start to the year. the Tesla costs more for a reason, and is worth it. Even Sunny's bible has washed their hands of them. P.S.. After the disgusting Dieselgate debacle.... I hear, the crafty VW engineers are working on making a gauge on their future electric cars show the driver 800km of range, when actually reality is 126km. Aaaaaaaand, another apples + oranges comparison from Sunny. i found it amusing he completely avoided your post, he must be gearing up to run for the Federal Liberal Party next year. so much for Consumer Reports..... They are another clueless bunch when it comes to car tests. Never seen such a flippant bunch of editors im my life. This year. We only have 7 more months to have to put up with the current Pretend Minister. Lifetime fuel consumption is down to 3.60L/100km from 4.22 when I got the car last May. Should be below 3 in about a year?! have you not been paying attention? Model 3 is crushing it, best selling luxury car since the Model T. Sheesh man, get on our level. 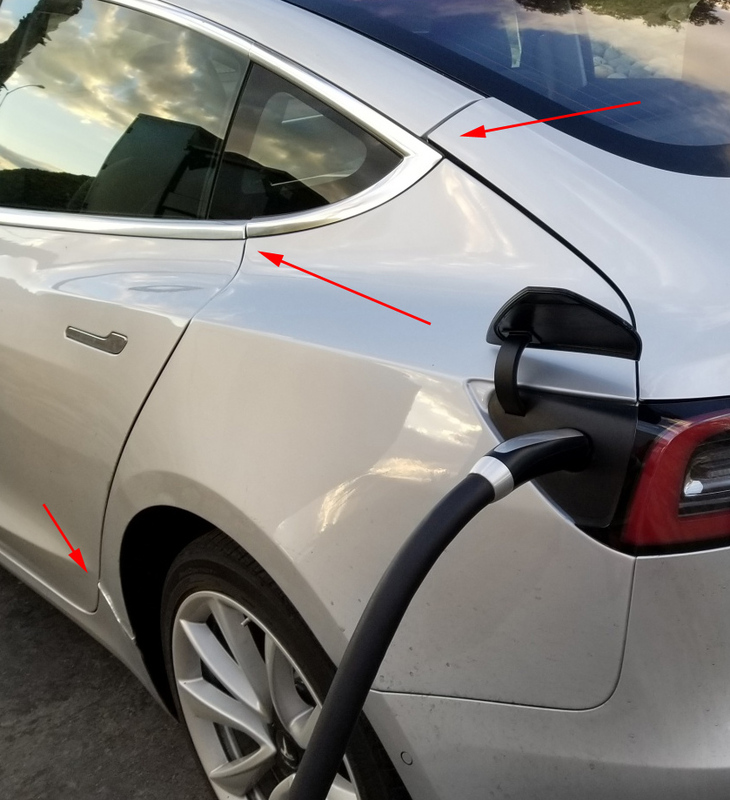 Sure having an electric car is a novelty, but once it wears off (like owning a useless convertible in Ontario LOL) I say let the early adopters get their Volts and learn what a pain in the *** it really is. On paper it looks good, but even the daily grind of life and remembering how good a traditional car really was. Think of what a pain it is every day/night when you come home, say with a load of groceries, or screaming kids, a long tired day at work, etc. you forget to plug your damn charger in, then what? Then the range anxiety, no long trips! In the winter, and we have long cold ones, less mileage on the battery, and not being able to fully use the heater and defroster at comfy settings? What about if you don't have a garage or power point nearby? Even worse. Scru dat! Until manufacturers bring in wireless charging for your car, where you can just park your car on a mat and not worry about remembering to charge, and they introduce respectable range, you won't find an electric car in my garage.